After getting feedback from lecturers I was told that the HUD screens were possibly too long and they could be more driver focused and central to the driver's line of sight. This mock up is what I came up with as a result. The screens are squarer and positioned tightly around the steering wheel to be as central as possible. 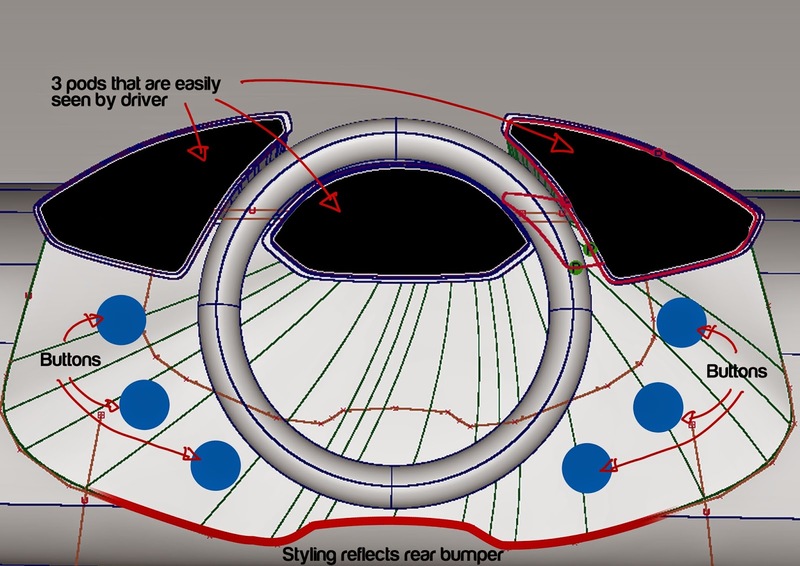 The buttons match the curve of the wheel as well and will be angled inwards. 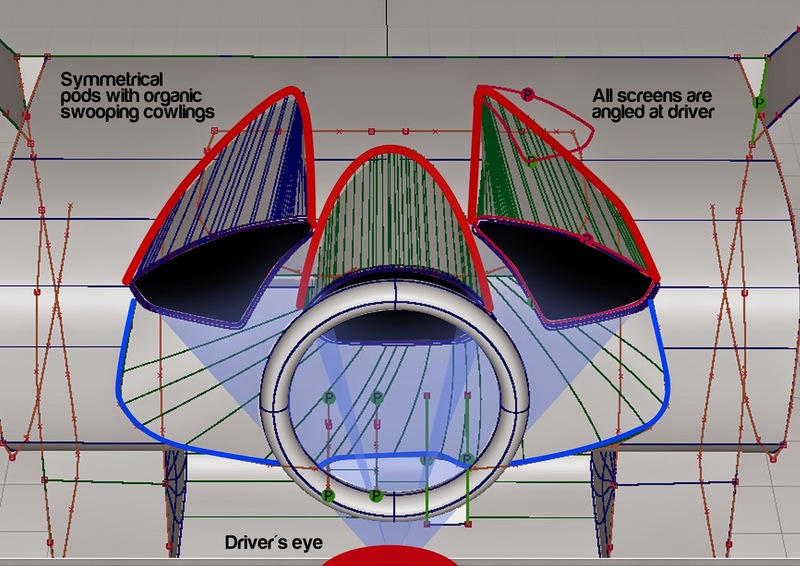 A quick render to show the driver's line of sight and what the cowlings look like at the back. A very organic and voluminous shape matches the styling 'jellyfish' theme. View from the front. 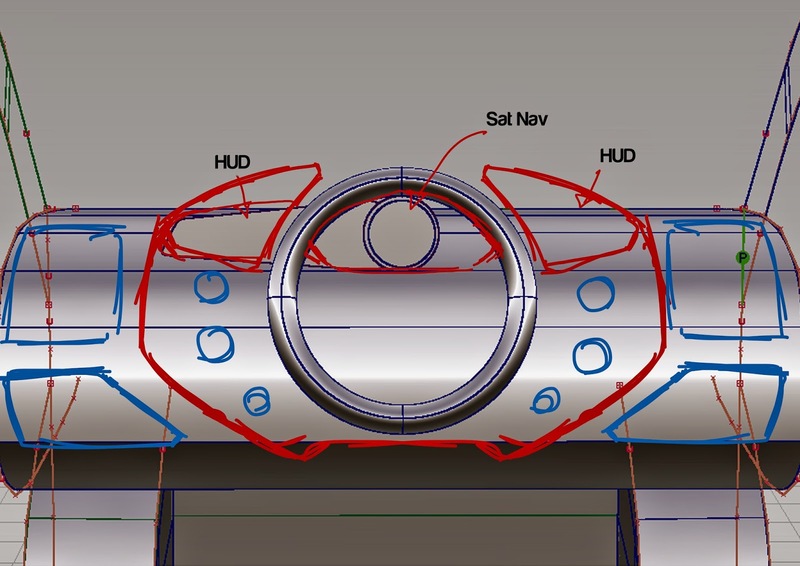 The central part of the dash is elevated towards the driver to that buttons are easier to reach. Styling cues have been taken from the exterior for continuity.